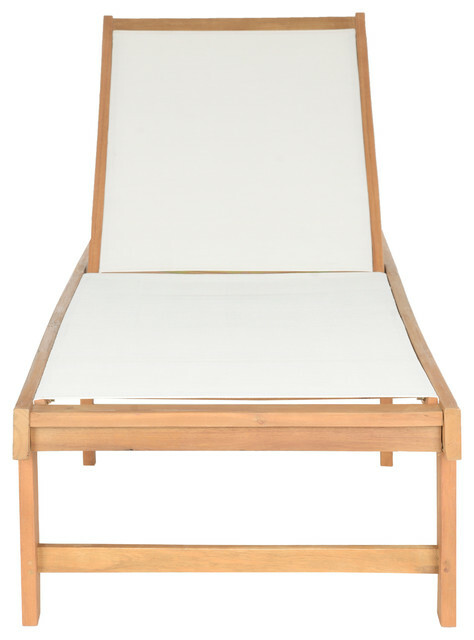 Sun worshippers rejoice: the Manteca lounge chair is designed for maximum comfort with sustainable acacia wood frame in teak brown contrasting beige Textilene all-weather fabric. The seat back of this streamlined reclining chair is adjustable. Care Instructions: Store outdoor furniture indoors or cover well when not in use. Remove wooden furniture from standing water. Dust regularly with small brush or vacuum. Spills should be taken care of immediately before they harden or stain with a slightly dampened sponge. Item Dimensions: 75.2" X 27.2" X 29.9"
W 75" / D 27" / H 30" / 34 lb.